I get up late and spend my morning spotting Caribbean islands and sea birds (Frigates and Boobys) as the Royal Clipper slowly approaches St. Barts. First is Sint Maartin/St. Martin, then striking Mount Scenery on the island of Saba, and finally the northern islands of St. Barts itself. We anchor near Grande Vigie in Gustavia harbour by 11AM. The 3-masted clipper Stad Amsterdam is anchored in the outer harbour near us. There are the usual complement of super-yachts docked at the marinas in the harbour (see banner image above). 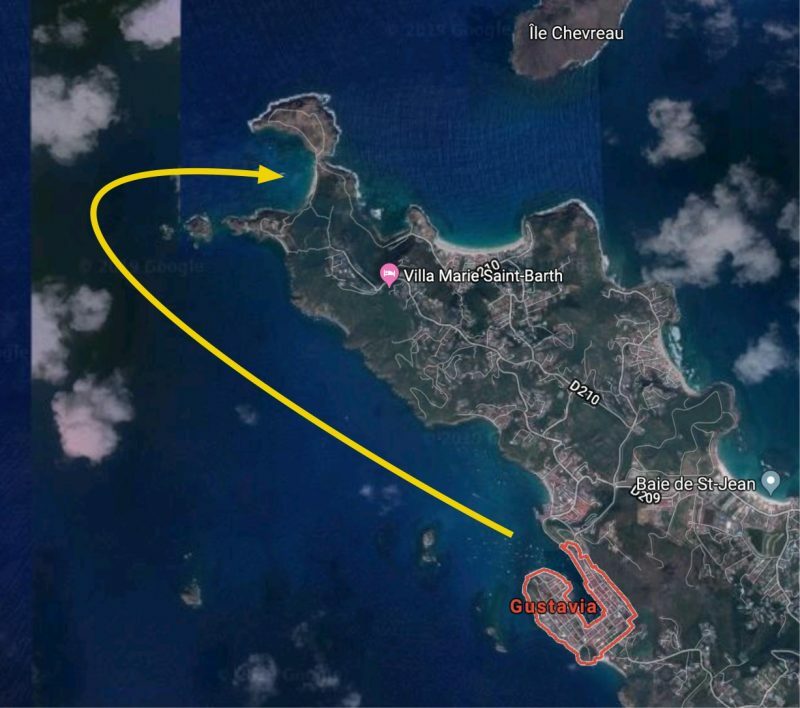 My afternoon excursion today is aboard a charter sailboat, and includes sailing to the leeward side of the island, with a stop at a beach and cove for swimming not too far from Gustavia. I go for a swim in the lovely warm water, and walk the beautiful uncrowded beach. 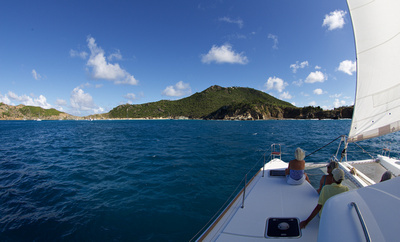 There are snacks and beer served after our swim, as we sail around the windy point back into Gustavia harbour. All-in-all, a sublime and relaxing day! Saint-Barthélemy is a department of France, and like all of the other French Caribbean islands, it is an expensive place to visit or to live on. That said, all these French islands are also noticeably better off than the other Caribbean islands colonized by other European nations. This entry was posted in Caribbean, Saint-Barthelemy and tagged cruise, sailboat, sailing ship, ship, snorkelling, swimming. Bookmark the permalink.